This web site is an experiment. It contains information about the Holy Order of the Faithful Knights of the Round Table which has never before been made available to the general public. The story of how this web site came about is a long one. Suffice it to say that the Duke of New Avalon and several of his Knights are members of a progressive movement called the Order of the Mailed Fist. This movement believes (among other things) that the time has come for the Holy Order to come out of hiding, as it were. Throughout its history, the Order has been protected from persecution by the fact that it has remained hidden from the world. The time for such secrecy, however, has come to an end. For that reason, permission has been granted to publish limited information concerning the Order. Originally, we wanted to publish this as a book. However, it was decided that a web site would not only be more cost effective, it would have the potential to reach more people. So this web site was created, under the direction of the New Avalon Household, most especially Sir Gawain and Sir Tristain le Silencieux Bienaime. Many areas are still under construction. In the future, you'll be able to find maps of the Realms, more photographs of New Avalon's most notable Knights, tales of King Arthur's Knights re-told in a completely Pagan setting, graphic representations of heraldic devices, and pictures of Chapels, Hallows, and other regalia. If enough interest is generated, it is possible that someday actual rituals will be published herein and with any luck, with larger attendances. So welcome to this experimental web site. 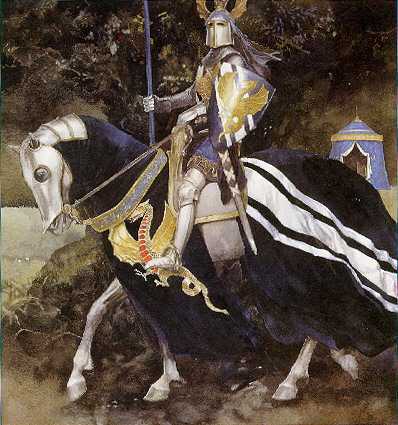 As you explore the pages which follow, please take the time to send comments to Duke Gawain and Sir Tristain. Ask us anything you'd like to know, and we will do our best to answer. Also let us know anything else you'd like to see on this site. May the Lady of the Lake, the Merlin of the Isles, and the Spirit of King Arthur be with you on your Quest!